What’s more appealing than a little chocolate and a love message. All over the world Baci chocolates are given as tokens of love. A whole hazelnut covered with granules of hazelnut and dark chocolate with a magical message of affection. My childhood memories are vivid of these “special” chocolates, everyone opening these petite chocolates and one by one reading the message…nothings really changed in my adult years. I came across this recipe and just couldn’t resist the indulgence! 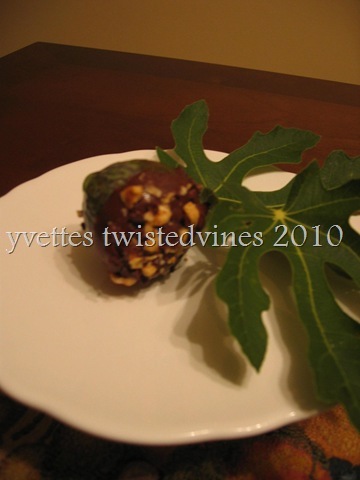 Figs dipped in chocolate and hazelnuts. Divine! 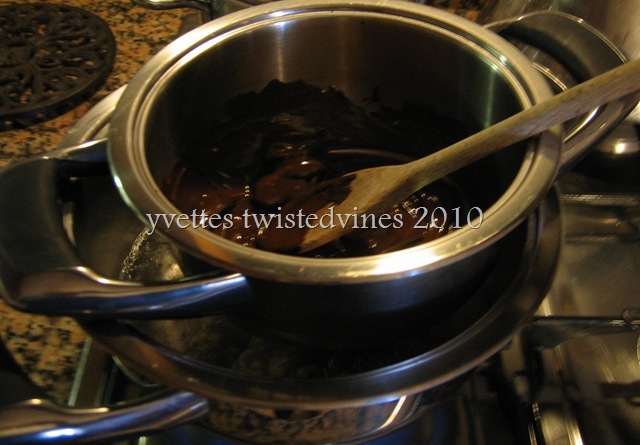 Melt chocolate in a saucepan over a pan of simmering water, stirring until smooth. Remove from heat, then stir in Nutella until combined. Spread nuts on a plate. Dip each fig into the chocolate to coat two-thirds of the way up. Roll into chopped hazelnuts. Place on a baking paper lined tray and chill for 30 minutes until set. Any extra chocolate and Nutella mix ,spread onto baking paper and place in freezer, break strips of chocolate for decoration. 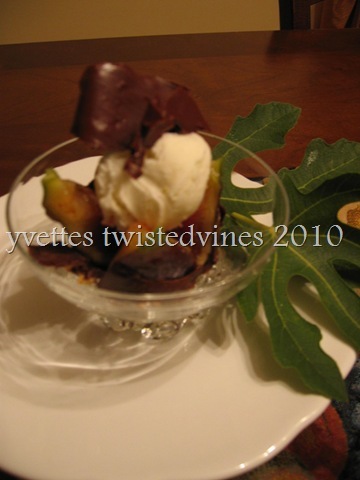 Cut each fig into quarters,serve with vanilla ice-cream and chocolate frills. Yum Yvette! They sound delicious. Yvette, they look totally delicious. Yummy! You spoil yourself with this one! 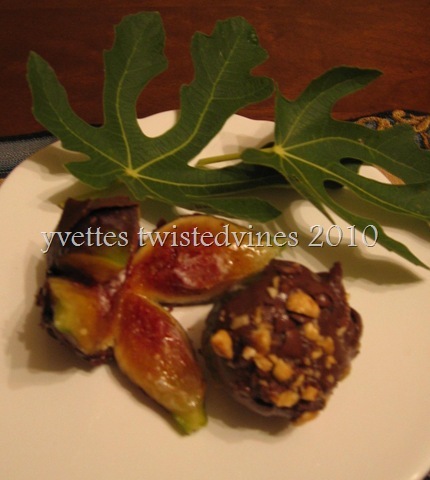 Figs and chocolate are a great marriage of tastes…baci chocolates my favourites! Wow. That’s all I have to say about these. WOW. A special little something for that sweet tooth!